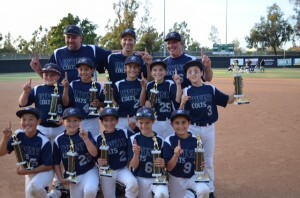 Congratulations to the 10U Colts after winning the 10U Select Division Spring Season Championship. They beat Placentia in the semis 11-1 and then shut out West Coast 10-0 in the final. 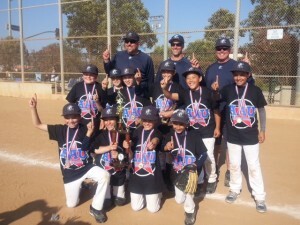 They also were winners of the 10U Championship at the AAU Spring Break Beach Bash at the Huntington Beach Sports Complex on April 12-13. Well done guys!